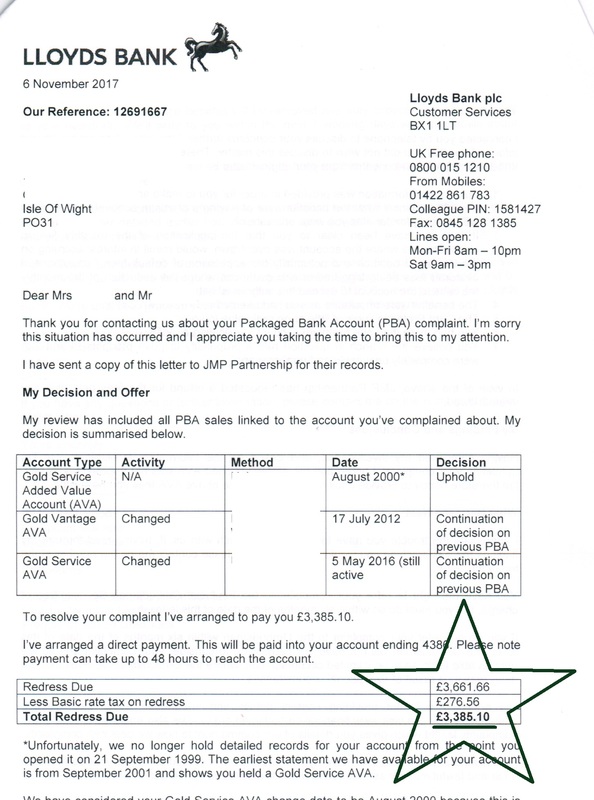 Packaged Bank Account (PBA) claims are not upheld in anything like the same number as PPI claims. This is because many people will have used one or more of the benefits the PBA provided and if you have, the chances of success are lower because the Financial Ombudsman Service generally concludes that if you have used ANY of the benefits, then the PBA was clearly suitable for you. That said, we do get a LOT of money back for our clients, like this offer on the right, over £3300. If you’d like us to investigate if you entitled to a refund of the money you paid for your PBA, give us a call on 01983 403390. 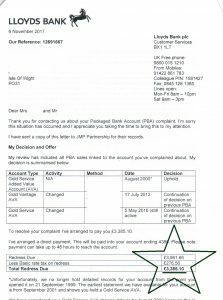 If you would like us to investigate if you are owed a PPI refund as well as a PBA refund – CLICK THIS LINK.